Have you ever driven through a neighborhood and noticed those few houses that seem to stand apart from all of the other homes around them? That is known as infill housing, and something that you may find yourself seeing more and more of throughout Portland after the recent approval by Portland’s Planning and Sustainability Commission to send the Residential Infill Project (AKA RIP) before the City Council for a vote this summer. The Residential Infill Project has been controversial, as it proposes rezoning almost all of Portland’s single family neighborhoods to include homes of up to four units on most residential lots, creating a condensed and disparate atmosphere. At the beginning, there was quite a bit of support for the project as an independent study conducted by Johnson Economics Consulting Firm said that over 24,000 units would be built over the next 20 years. This would add infill housing such as duplexes, triplexes, and four-plexes into neighborhoods, meeting what the Planning and Sustainability Committee felt is needed to accommodate the estimated thousands of people expected to be living in Portland within the next 2 decades. With a growing population, what is there to dislike about creating more jobs and affordable housing for people? 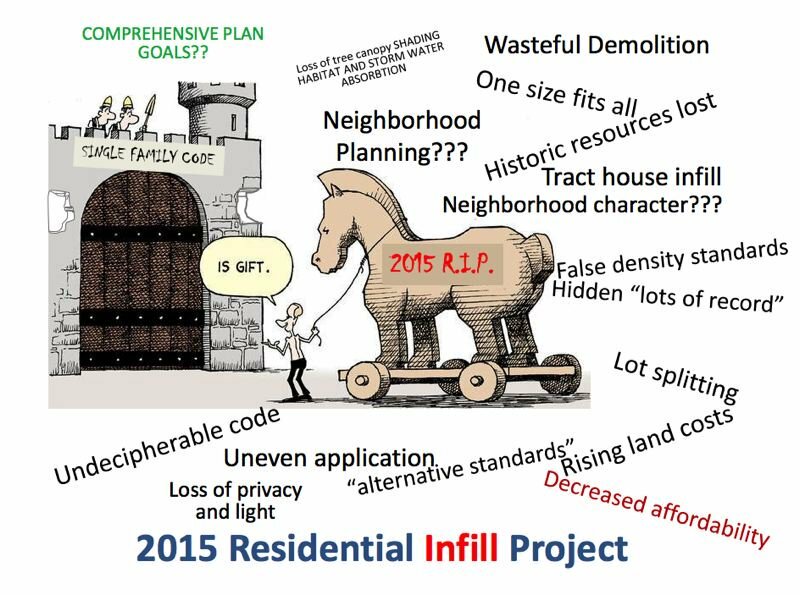 Well, according to some, there is a fear that this project is acting as a Trojan horse of sorts, paving the way for the needless demolition of existing homes/properties for larger projects and that it seeks to undermine the character of existing neighborhoods. Some people have argued with the estimate of 24,000 units being needed, citing a staff analysis that said only 4,000 are truly required. With all of this back forth, it was unclear which way the vote was headed. Yet on March 12, 2019, the proposal passed with 5 votes for and 4 votes against to head for the City Council’s approval this summer. We will be following this proposal to see whether it passes and how it will effect Portland’s established neighborhoods. What are your thoughts on the project? Do you think rezoning almost all of Portland’s neighborhoods will be a benefit or detriment to current homeowners?